Applying extreme force to save democracy is the way Georgia is justifying its actions against peaceful protesters, many of whom remain missing after a bloody crackdown two weeks ago. ­Human rights groups say finding out what is happened to the missing people is practically impossible. The scenes of violence of the streets of the Georgian capital a few weeks ago sent shockwaves around the international community. President Saakashvilli speaks of bringing a Western-style democracy to Georgia, but the scenes that people witnessed were extreme force used by his police operation against largely peaceful protestors.In the aftermath there have been tales of aggression behind bars, of people going missing causing deep concerns amongst their friends and their relatives. Giuli’s son was a member of an opposition group. 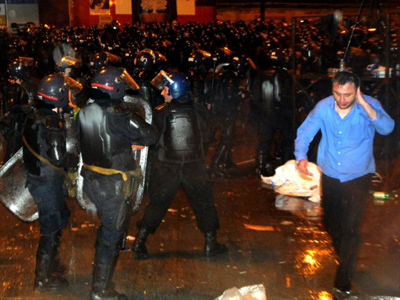 He was arrested as part of the crackdown on opposition three days before the protests took place. She has not seen or heard from him since and has no idea where he is now. “I was told he was at one police station, so I went there. But they said he had been moved to a police station in another region. When I went to that one they said he was not there either. So now he is missing. I do not know why,” says the mother of the missing opposition member. And she is not the only one left wondering. 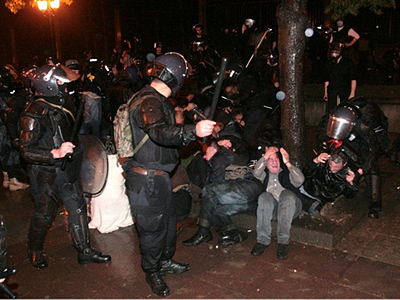 In the days leading up to the protests, during and after them, many people have been arrested. Finding all these people is proving extremely difficult. “In some cases we have problems because people are moved from one detention center to another without providing information about where these people are taken, so we have to go all over the country and visit all the detention places and find these people, which is almost impossible for us,” says Tamara Chugoshvili from the Young Georgian Lawyers Association. Inconsistencies in official information are even more troubling when it comes to some of the deaths surrounding the protests. 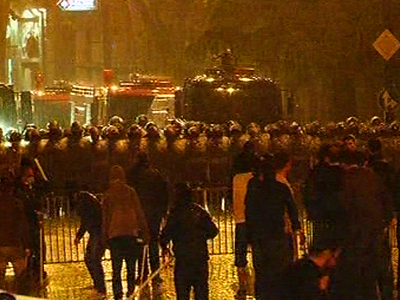 Days after the demonstration, Niko Kvindradze’s body was found on a roof near the protest area. He was last seen photographed amongst those being detained. The circumstances of his death remain extremely unclear. 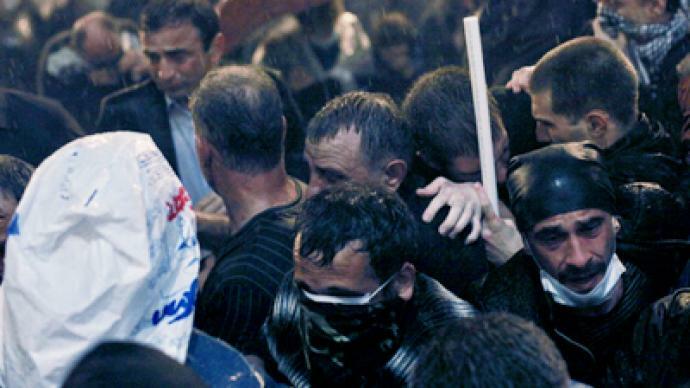 “There are lots of questions about these bodies because we were receiving a lot of information from inside, when people were just leaving police – beaten people, demonstrators – that people were being beaten so terribly that there were cases of death,” said Georgian opposition leader Nino Burdzanadze. With official information proving inconsistent and chaotic, attempts to establish exactly what happened to those who died, and to those still missing is extremely hard. “The isolators, the police, the Ministry of Interior they did not give us a response about where these people were, so they did not give out any information about where these people were detained and so on, so it was a huge mess,” says Chugoshvili. Many organizations are now working on establishing just what exactly has been happening recently in Georgia. The images of violence from the protest will stick in people’s minds for a long while to come. But this was a struggle that started long before that night and looks set to continue for some time after.